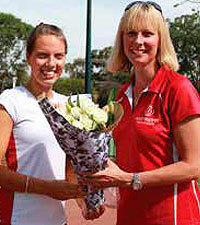 ERIKA Dyason has become the seventh player to have played 300 games for the Warrandyte Netball Club. Erika started playing netball as a seven-year-old in the netta clinic. She then played in the U11s (as an eight-year-old) and today plays in the Open Tigers team. Erika also coaches the U15/1s team and was last year’s club captain. This season the Warrandyte Netball Club has 22 teams competing in the Saturday competition as part of the Doncaster and Districts Association. “We are extremely proud of all our age groups and our coaches are doing a wonderful job with the up and coming players,” president Sue Rodwell said. Any interested players should contact Sue on 0419 344 245.